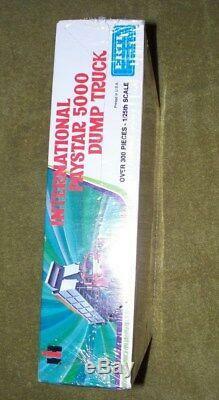 ERTL 1/25 International Paystar 5000 Dump Truck, factory sealed! As pristine of a kit as one could get! Remnants of a store price tag evident. Perfect for display or open it smell the mummy dust - don't inhale! The USA-made kits have an entirely different smell. As a lot of you know, I'm still working on clearing out the many multitudes of kits I acquired. I will pack this well, and it will be insured. Thanks for your consideration and have a great day! 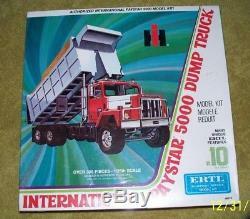 The item "ERTL 1/25 International Paystar 5000 Dump Truck, factory sealed! USA-made" is in sale since Thursday, January 31, 2019. This item is in the category "Toys & Hobbies\Models & Kits\Automotive\Truck". 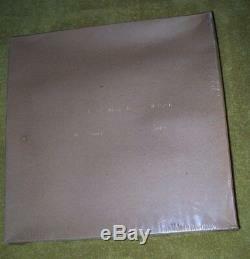 The seller is "theopunk" and is located in Marietta, Ohio. This item can be shipped to United States, Canada, United Kingdom, Denmark, Romania, Slovakia, Bulgaria, Czech republic, Finland, Hungary, Latvia, Lithuania, Malta, Estonia, Australia, Greece, Portugal, Cyprus, Slovenia, Japan, China, Sweden, South Korea, Indonesia, Taiwan, South africa, Thailand, Belgium, France, Hong Kong, Ireland, Netherlands, Poland, Spain, Italy, Germany, Austria, Bahamas, Israel, Mexico, New Zealand, Philippines, Singapore, Switzerland, Norway, Saudi arabia, Ukraine, United arab emirates, Qatar, Kuwait, Bahrain, Croatia, Malaysia, Brazil, Chile, Colombia, Costa rica, Dominican republic, Panama, Trinidad and tobago, Guatemala, El salvador, Honduras, Jamaica, Uruguay, Antigua and barbuda, Aruba, Belize, Dominica, Grenada, Saint kitts and nevis, Saint lucia, Montserrat, Turks and caicos islands, Barbados, Bangladesh, Bermuda, Brunei darussalam, Bolivia, Ecuador, Egypt, French guiana, Guernsey, Gibraltar, Guadeloupe, Iceland, Jersey, Jordan, Cambodia, Cayman islands, Liechtenstein, Sri lanka, Luxembourg, Monaco, Macao, Martinique, Maldives, Nicaragua, Oman, Peru, Pakistan, Paraguay, Reunion, Viet nam.